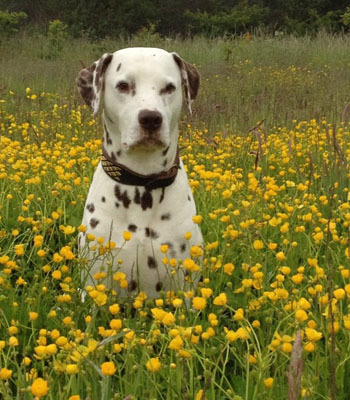 My old gentleman Boris (O'Talix's Introduces A Man By A Man) celebrates his 11th birthday to-day ! Happy as ever and still king of the house - rules like a true gentleman. You simply have to love him ! He is a quarter of a tail shorter now ! and kept spreading so there was nothing to do. The vet had to take of 10 cm. This dog is simply too happy! Because of that he has had problems with his tail all his life. 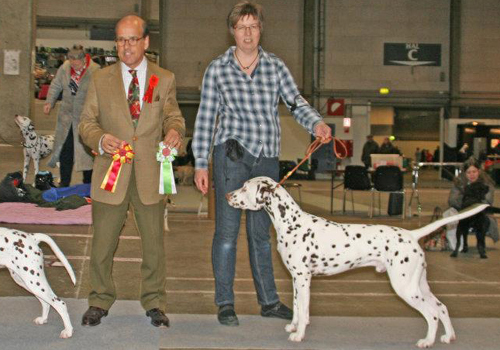 Bruce went all the way at the international show in Neumunster. 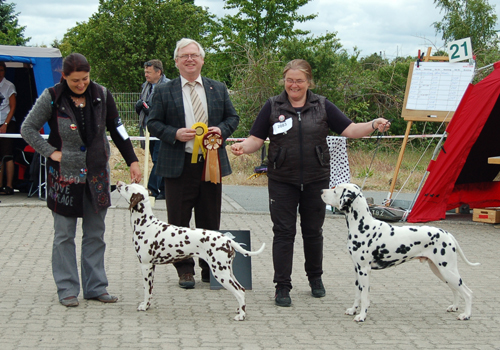 And Titania did well - she was second in Champion Class. Bruce's brother Hiro was outside Denmark for the first time. 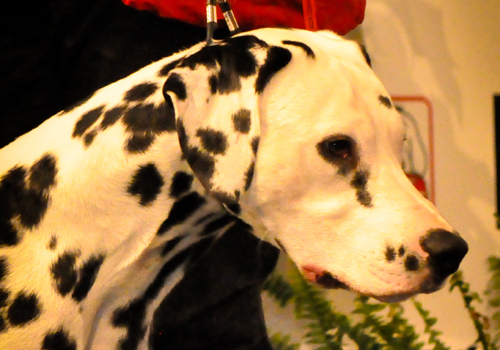 Titania had a come back to the show ring at a Danish International show in Aalborg. bother her as much as many of the other dogs - and she was BOB ! 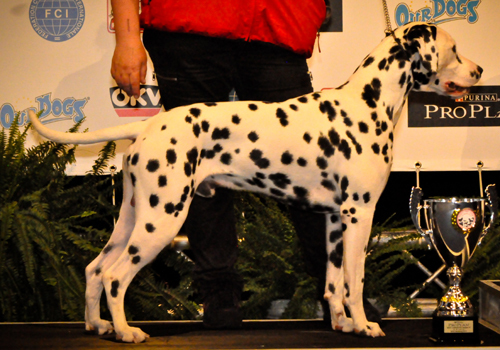 And Bruce was second best male and got his first Danish CAC. So another good day for us. 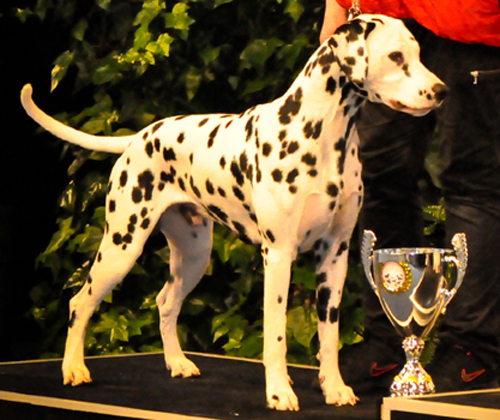 At the World Dog Show in Salzburg, Austria Bruce became Junior World Winner ! 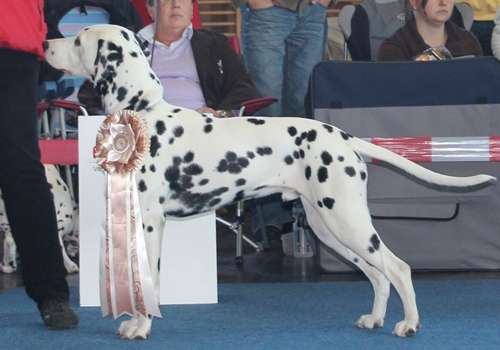 And on top of that he went to the Main ring and became also BIG2 Junior ! I can hardly stop smiling :-) So proud of my little boy. The new Junior World Winner - my pride and joy ! I now have licence to drive dogs - or what ? 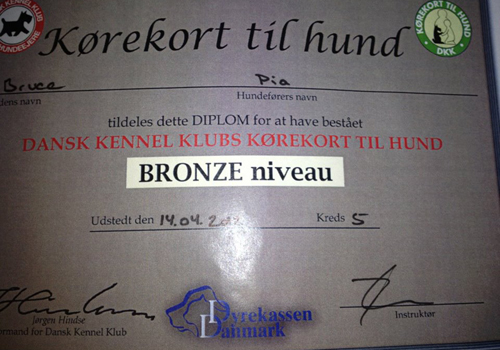 We have a thing in Denmark called drivers license for dogs. And Bruce and I passed the test. 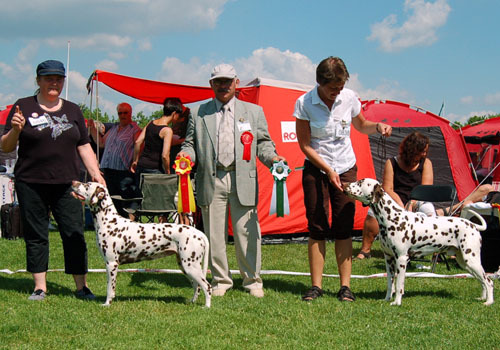 Only 4 dogs out of 10 passed, so we are very proud with this result. My two stupid boys ! Bruce and Boris peeing on each other. How stupid is that !?! Bruce is now a German Junior Champion ! So that was very fine. The 5th show went all wrong. Bruce only got a Good. The reason: He insisted on laying on his back, when the judge was trying to see his teeth ! 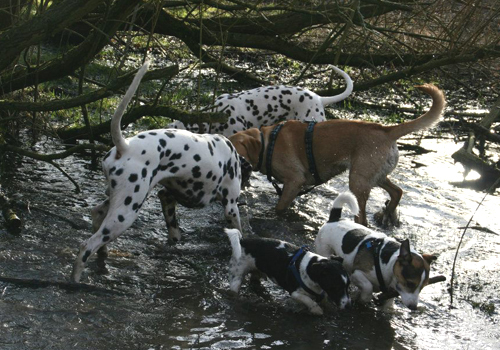 We have the most wonderful dogforest nearby. 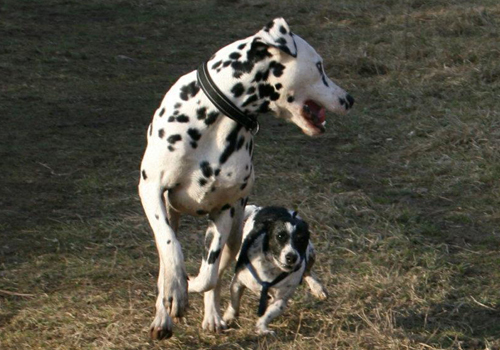 Here a little dog chasing Bruce ! And here a big hit ! The lake - the dogs love it ! A very fine result, as he came from Junior Class ! This has to be the coldest winther ever ! But Bruce doesn't care. 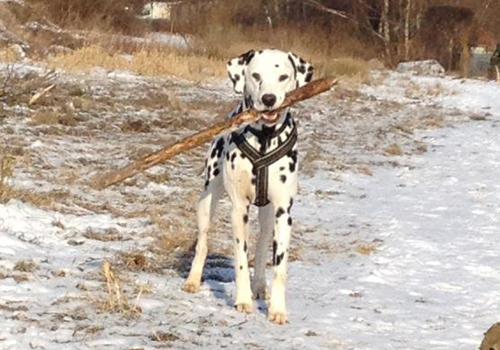 As long as he can run free with at stick in his mouth he is in heaven !